Your Mixlr username will be displayed whenever you are visiting a Mixlr livepage to listen to a broadcast, and it will be posted when you add a chat comment. 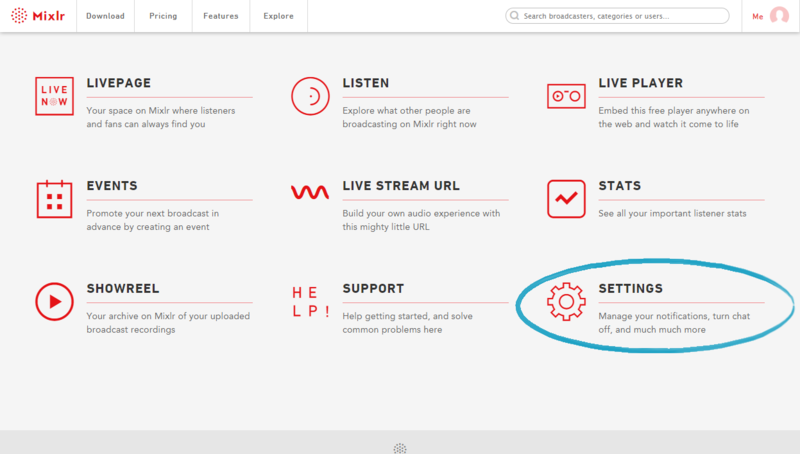 Your Mixlr username is also what listeners will search for if they are looking for your station on Mixlr, and it will be included in the URL of your Mixlr livepage (e.g. http://mixlr.com/username). 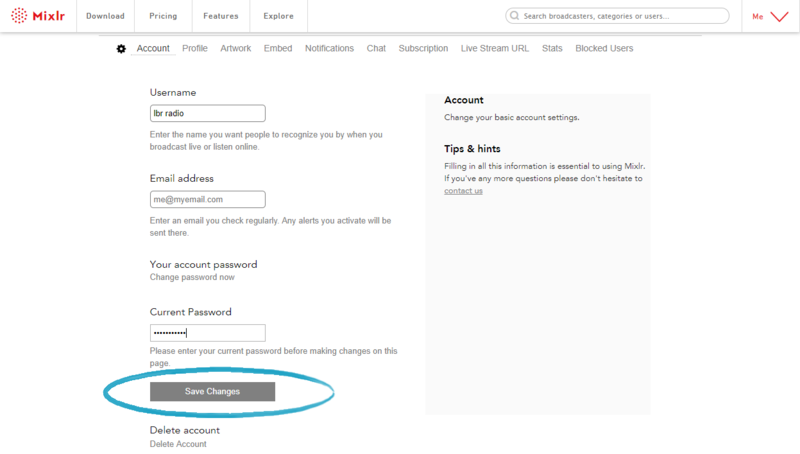 This article will show you how you can change your Mixlr username. 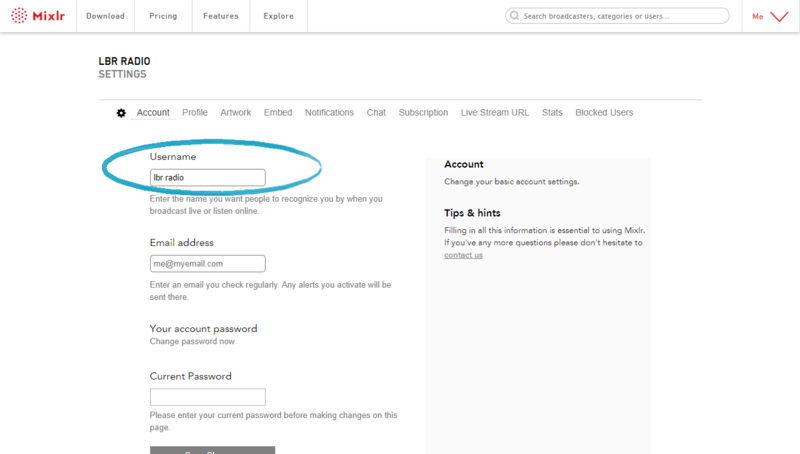 TIP: you'll need to be logged in to your account on mixlr.com to see this homepage. You'll find the Username field towards the top of this page. Update your username here. TIP: if you don't have an active Mixlr subscription you can only change your Mixlr username once per month so please ensure you enter the new name carefully. Once you have added your new username you will need to enter your password and then click the 'Save Changes' button for this to be updated. Click here to find out how to change your password.